The Omega Hotel is set in a majestic Victorian Grade II listed building close to the wealth of attractions London has to offer – a family-owned, London hotel with all the style of the 19th century combined with 21st century facilities. Just a few minutes’ walk to the open green space of Hyde Park, the Omega is a London hotel suited to both tourists and business travellers, who need a place to relax and unwind in comfort at the end of a busy day sight-seeing or in meetings. 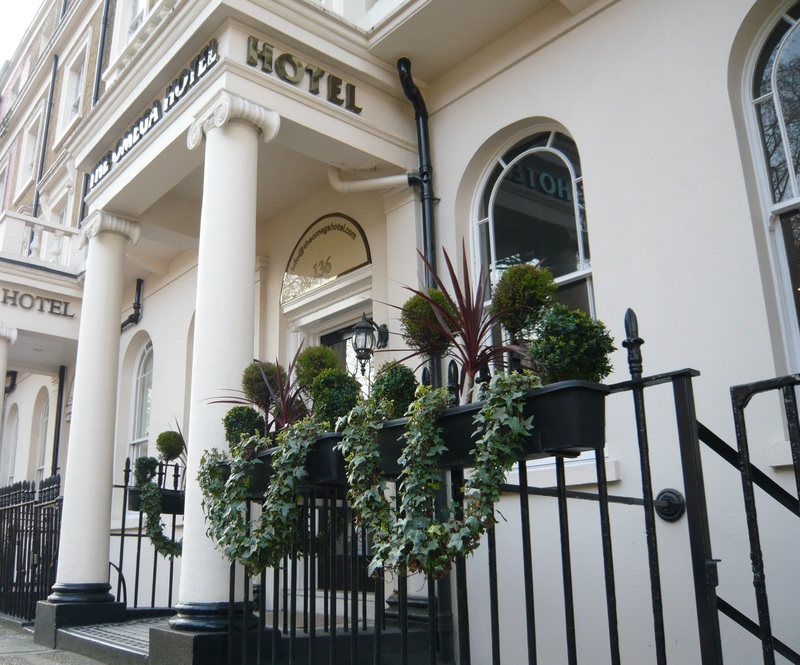 The hotel is close to Lancaster Gate and Paddington Underground Stations. Our newly refurbished, airy bedrooms are well appointed in a contemporary style, each with its own compact, ensuite bathroom, with complimentary toiletries. The hotel has a choice of three sizes of bedroom – single, double and triple rooms with comfortable beds and contemporary decor. All our rooms are serviced daily with great attention to detail. To get your day off to a great start, a complimentary breakfast is served from 7am – 9am in our bright, modern dining room. The continental breakfast includes a wide selection of cereals, cold meats, cheeses, cakes & bakery, jams and juices, as well as tea, coffee and hot chocolate. All the rooms have flat screen Freeview TVs, internal telephone, free high speed Wi-Fi and hairdryers. All our public areas and bedrooms are strictly non-smoking. There are free tea, coffee and hot chocolate making facilities available at reception. Each bedroom has a desk with electric sockets, direct USB chargers and a European electricity adaptor. Other international chargers, irons and ironing boards are available from reception. Check-in is from 2pm but may be earlier if your room was vacant the previous night. We are able to store your luggage for you before check-in and after check-out. For your security, The Omega Hotel’s reception is open 24/7 and there is CCTV around the building. In addition, guests receive personal electronic room key cards and there is an electronic safe in the bedrooms for your personal belongings. If you require parking, please contact us before booking and we will check the availability of the local, secure, off-street parking which we are happy to arrange for you. The parking fee is £20 for 24 hours. In reception we have a wealth of London maps and tourist information and our staff are always happy to offer advice. We offer free printing of tickets or boarding passes and a free photocopying service. If you are looking for a London hotel with easy access to Heathrow, The Omega Hotel is the perfect choice as the Heathrow Express from Paddington Station is only three minutes’ walk away. If there is anything you need help with to make your stay a pleasurable one, please feel free to ask a member of staff who will be only too happy to assist you. Whether you are staying for just one night or a few weeks, we look forward to welcoming you to The Omega Hotel London.